These businesses and individuals just donated $1,200 to the Morrow County Joint Veterans Services for the replacement of the 20-foot by 30-foot American Flfag during the 2017 Pie Auction at the county fair. Century 21 Bob McElroy Realty, Morrow County Pork Producers, Charles Howland for Judge, Gompf Monuments, Jennifer Burnaugh for Judge, Brandon J. Strain, Auctioneer; Shaw Creek Propane, Don Wick for Judge, Wick Law Offices, Gompf Funeral Services, Mike Schnell, WVXG 95.1 FM. https://www.morrowcountysentinel.com/wp-content/uploads/sites/29/2017/09/web1_IMG_2649.JPG-1-1-1.jpegThese businesses and individuals just donated $1,200 to the Morrow County Joint Veterans Services for the replacement of the 20-foot by 30-foot American Flfag during the 2017 Pie Auction at the county fair. Century 21 Bob McElroy Realty, Morrow County Pork Producers, Charles Howland for Judge, Gompf Monuments, Jennifer Burnaugh for Judge, Brandon J. 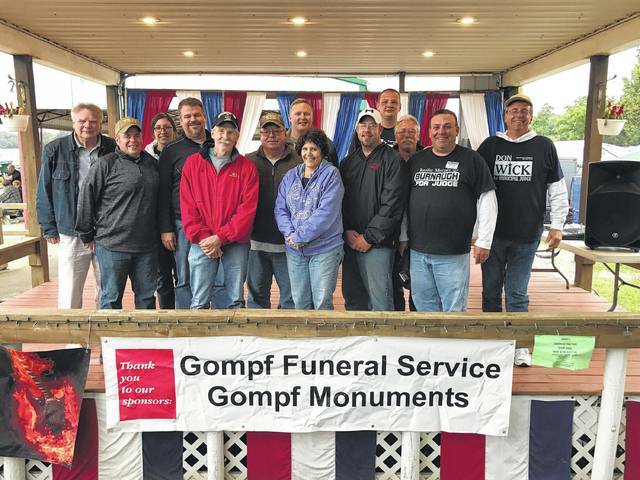 Strain, Auctioneer; Shaw Creek Propane, Don Wick for Judge, Wick Law Offices, Gompf Funeral Services, Mike Schnell, WVXG 95.1 FM.